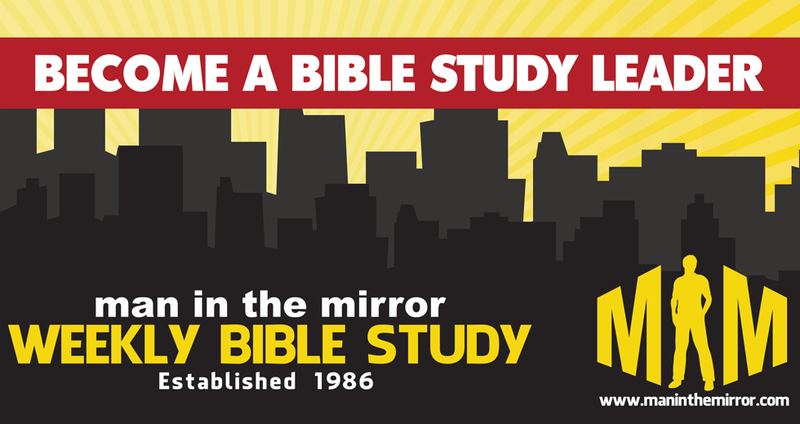 You can start a Bible study on your own or by leading a Man in the Mirror Video Bible Study group. You’ll be joining a network of thousands of men who want to grow as disciples and disciple-makers. No experience is required. God works through the present and willing, not the absent and able. When you register (below), Pat Morley will personally send you a welcome letter with thoughts on what to do and how to be successful. Every Friday morning since 1986, Pat has taught a Bible study to men. He doesn’t beat men up. He assumes men attend because they’re trying to better themselves. So the focus is to explain the Bible in a relevant way so men can go and immediately apply it in their everyday lives. We call it “grace-based, application-oriented Bible study.” You can join thousands of men who meet in small groups around the world, watch the video version of the Bible study, then discuss the exact same questions the men at the live study discuss. Ask some men you would like to meet with if they would like to be in a discussion group that would view the Bible Study and discuss some follow-up questions. This can be a group from your work, church, neighborhood, hobbies, or a combination. The optimum starting size for the group would be four to six men. Some groups grow as large as 40 in time. Inform the men that you would like to view one Bible Study per week and set a time for your first meeting. Use the current message or choose from hundreds of messages in over 45 series here. Leading the discussion: If possible, try to divide your time evenly between the questions. But it’s more important to talk about “real” things than it is to answer every single question. Make sure that each member gets “air time.” Your role is to encourage each man to share his thoughts. If someone dominates the time, privately ask them to help you draw out the more reserved members of the group. If someone asks a question beyond your expertise, simply say so and move on. Read this article for more suggestions.